Episode Ardyn is a short but meaningful adventure that shows how Ardyn fell from grace. 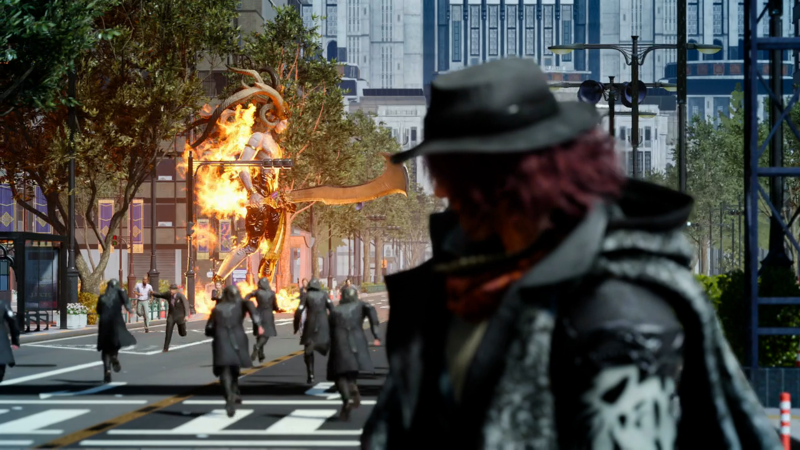 Final Fantasy XV Episode Ardyn darts between the past and present, with the core adventure taking place before the events of Final Fantasy XV. The narrative explores how Ardyn ending up as the Chancellor of Nifheim but most importantly it shows how he lost his value for life. Ardyn use to cherish life and wanted to help people but was betrayed by those he loved and admired. 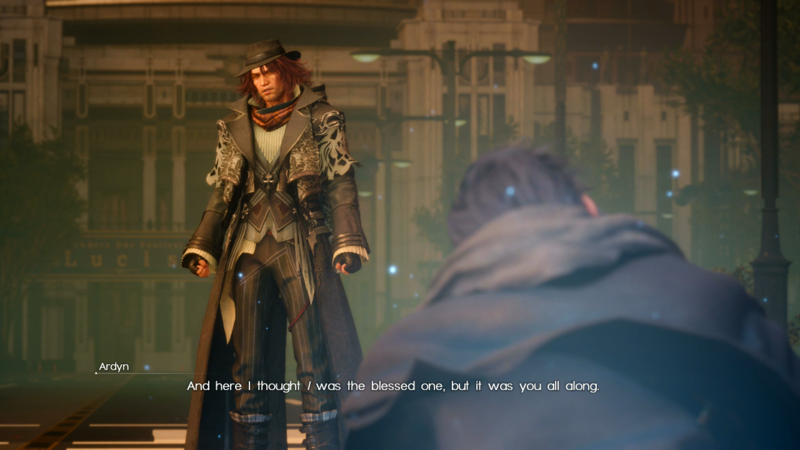 It wasn't one bad day, it was a constant barrage of emotional and physical attacks that eventually led Ardyn becoming the person we see in Noctis' adventure. Because of the heavy focus on the narrative players are mostly put into a linear path for about two-thirds of the adventure. Running down corridors, speaking to people, and learning more information about the world and history not touched on in the main campaign. Those hungry for Final Fantasy XV lore will have their fill here. You are told everything from the origins of the Daemons to present days events. The developers didn't skimp on Ardyn's powers, even the first time you control Ardyn he demonstrates absurd levels of energy. It's very hard to lose as Ardyn since he is equipped with so many powerful abilities such as permanent regeneration, a last stand ability called Overkill, dashing without the need to warp, and the power to summon Ifrit. All these skills make all the fights you'll encounter throughout Episode Ardyn a breeze but that seems to be the point. To showcase how powerful Ardyn is and why stopping him required all of Noctis' fortitude. Ardyn can unlock new abilities and wear hats to alter his statistics but these are limited and earning AP is easily done. Instead of just killing enemies players have to turn people into daemons to absorb their energy. You're eventually given an open space to explore within the Kingdom of Lucis, with your primary goal being the elimination of towers. You'll fight a series of repetitive minibosses, take down the towers, and earn AP to obtain new superhuman abilities. Traveling throughout the city is easy as Ardyn can dash between areas with ease and moves at startling speeds. There are optional billboards and decorations to take down to boost your score which resembles that of Episode Gladiolus. Once you complete the episode your score is tallied and if you earn enough you'll get an achievement or trophy depending on your platform. Similar to the other episodes, once you complete it an optional challenge mode is unlocked. We won't spoil what it is but prepare for another difficult fight that will test your skills. Episode Ardyn serves more of a narrative-driven experience, appealing to towards who've invested a lot of time into Final Fantasy XV and want to know more about Ardyn. The battles are very easy due to Ardyn impressive powers and most of the adventure has you on autopilot. This is a story-driven adventure and Episode Ardyn successful provides the much-needed context to this fallen hero turned villain.